While the new Apple TV will allow third-party controllers to be used for any tvOS games, it looks like all games will still need to be able to work with the new Siri remote as well. The App Programming Guide for Apple's tvOS lists the requirement, saying "Your game must support the Apple TV remote. Your game may not require the use of a controller." 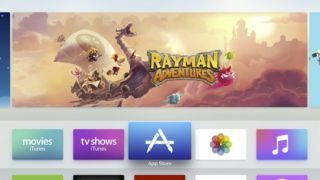 It had previously been rumored that Apple TV games wouldn't be required to work with the Siri remote, with a third-party controller to be enough. While the requirement will make some games a little more limited it isn't too surprising, as it does mean all users will be able to play the games regardless of having a controller or not, and user experiences will be largely the same, especially considering Apple hasn't got its own controller. It also means that for multiplayer games on Apple TV, you'll only need an extra controller, with one person able to use the Siri remote. Other requirements include that games that do support controllers must also support the "extended control layout" and that these "games must be playable using standalone controllers," which basically means you won't be required to have other accessories.